The International Press Institute (IPI), a global network of editors, media executives and leading journalists, has condemned Tuesday night’s attack on Al-Aqsa TV station in Gaza by the Israeli Defense Forces (IDF). Al-Aqsa’s building was destroyed in a targeted strike by the Israeli air force. According to reports, the IDF fired missiles at the station to warn occupants about the impending attack and later the air force dropped bombs on the building. The IDF confirmed that it had destroyed the building. The attack on Al-Aqsa, which Israel says is used by Hamas for military purposes, was part of Israel’s response to the hundreds of rockets fired by Hamas from the Gaza strip towards Israeli villages. 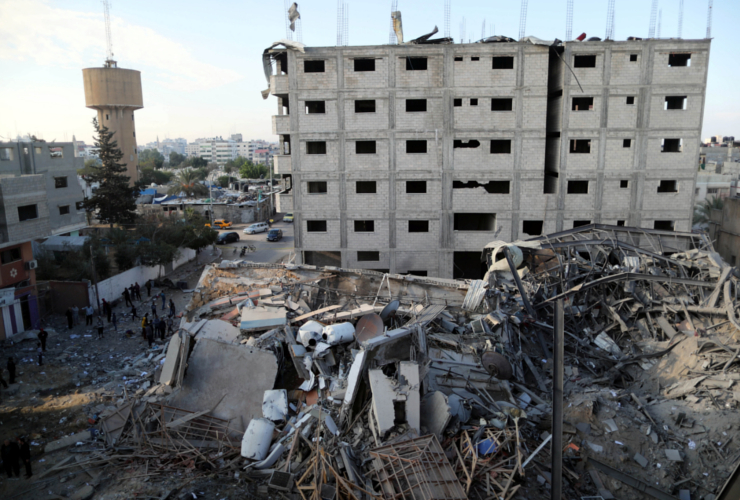 Hamas launched the rocket attack after seven Hamas gunmen were killed in an Israeli undercover operation. This was the second IDF attack on Al-Aqsa TV station. In 2008 the building was also bombed by the Israeli forces. Two journalists this year have been killed by the IDF in Gaza. Palestinian photographer Yaser Murtaja was shot in the chest by an Israeli sniper while covering a demonstration on the Gaza-Israel border on Friday, April 6, 2018. Murtaja died of his wounds on Saturday, April 7. 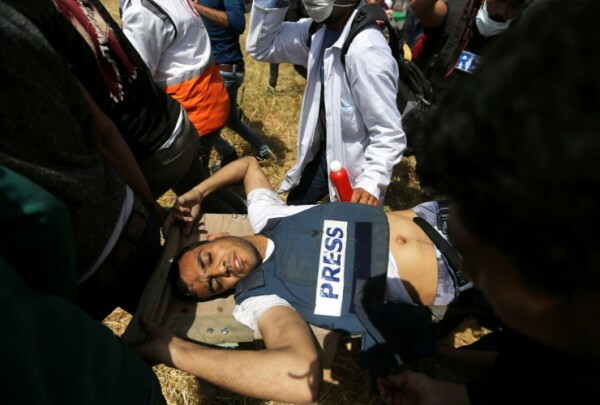 According to photos and witnesses, Murtaja was wearing a protective vest with the “PRESS” sign clearly marked across it, some hundred meters on the Gaza side of the border, when he was hit by a bullet in an uncovered spot in the side of his chest. 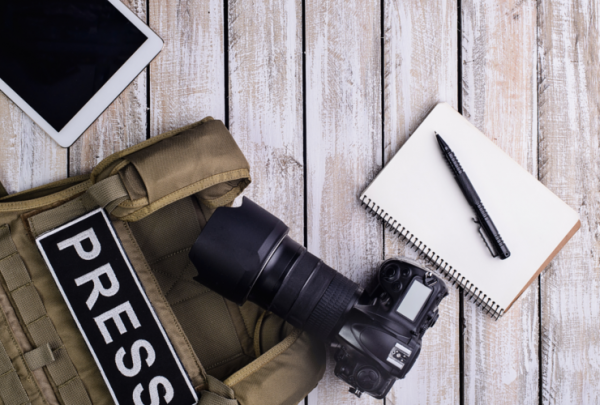 Ahmed Abu Hussein, a 24-year-old freelance photographer and correspondent for Al-Shaab radio station, succumbed to bullet wounds on April 25. He had been shot by Israeli snipers on April 13, while covering protests in the northern Gaza strip.